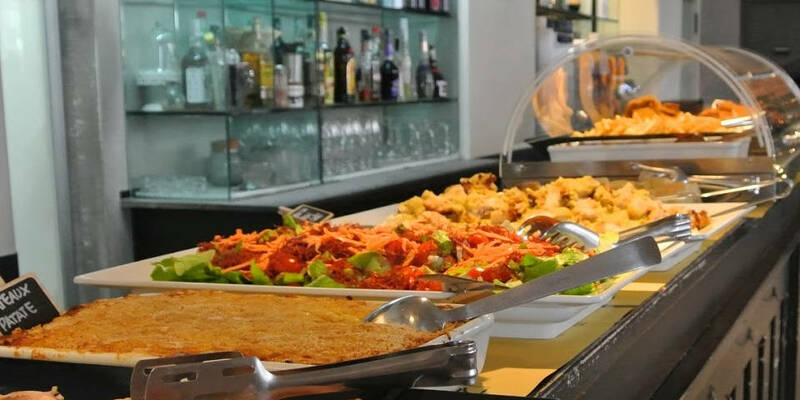 Best Cheap Buffet Bars in Rome for an Italian Aperitif or "Happy Hour"
Visiting Buffet Bars in Rome for an Italian Aperitivo is a great idea because you can eat typical Roman food for a cheaper price and meet with your friends to discuss the latest news. Particularly, aperitivo (aperitif) is an Italian version of happy hour. The typical aperitif includes a drink and a buffet that you could pass up during the entire dinner or a particular set of dishes that come along with your drink. 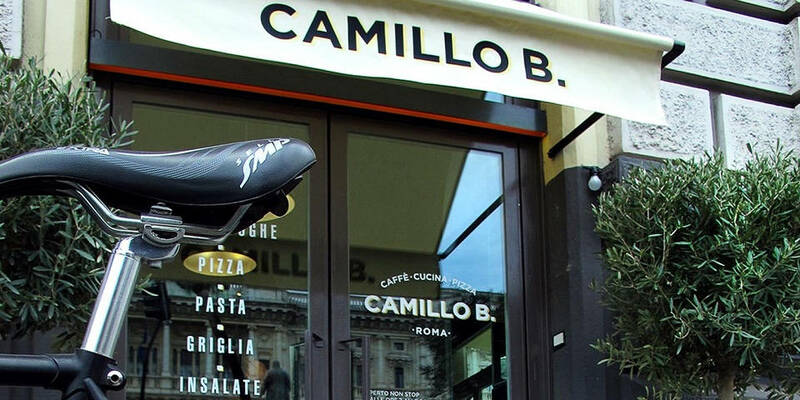 Camillo B. is a restaurant, cafe, and pizzeria right on Piazza Cavour, in the heart of the historic center of Rome. It is located only on 500 meters from the Vatican City. Furthermore, the philosophy of the restaurant is in its relaxing atmosphere where food is understood as the moment of pause and conversation with people you love. 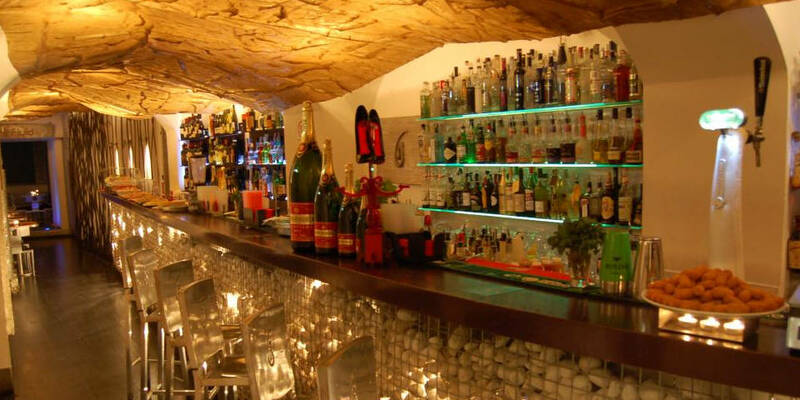 This place is ideal to have an aperitif with a good choice of food, high-quality cocktails and warm ambiance in the center of Rome. Address: Camillo B, Piazza Cavour 19-21 Roma. Price for aperitivo: 10-12 euro per person (depending on drink) + buffet included in price. On the second drink there is a price reduction. Momart is a famous place for its great brunches, lunch, and aperitivo because of the rich choice of food offered and a list of wonderful cocktails, where each guest can find something that matches his tastes. From Monday until Saturday, the aperitif costs 11 euro, plus 6 euro for every additional cocktail, with buffet included. Regarding Sunday, the price for the first cocktail with buffet leaves the same, while every additional cocktail can be ordered for 11 euro. Rec 23 located in the popular area of Testaccio. The restaurant offers a wide selection of most famous rums and aged whiskeys without neglecting the important Italian grappa, while the list of wines includes more than 100 labels. Speaking about aperitivo, every day Rec23 offers a wide selection of dishes for 10 euro per person, where the drink and unlimited buffet are included in the price. You can find not only popular cocktails on their menu but also unique drinks with excellent taste. Undoubtedly, Rec 23 is a perfect place to spend your evening in a good company with a wonderful ambiance. 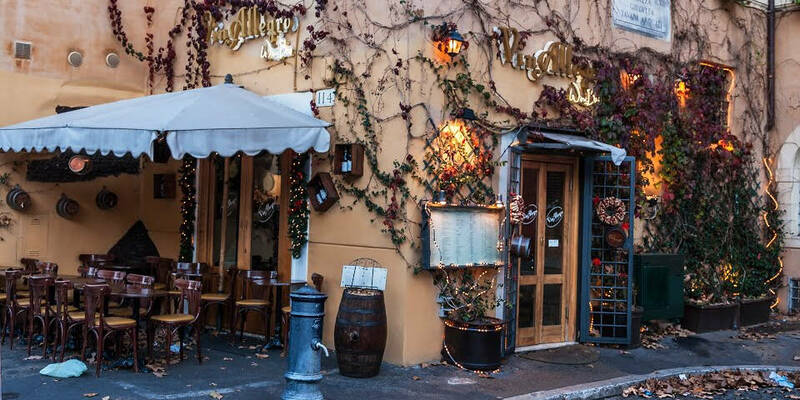 VinAllegro wine bar located in the famous area of Trastevere, where you can find many bars and restaurants with Italian, Indian, Chinese, Japanese, and Mexican food. The price for the aperitif is 10 euro with 5 euro for the second cocktail/beer/glass of wine. It is famous for its food choice for “happy hour” and friendly ambiance with great service. There are two restaurants located right near each other in the famous area of Trastevere: La Parolaccia and La Parolaccia & Sons. 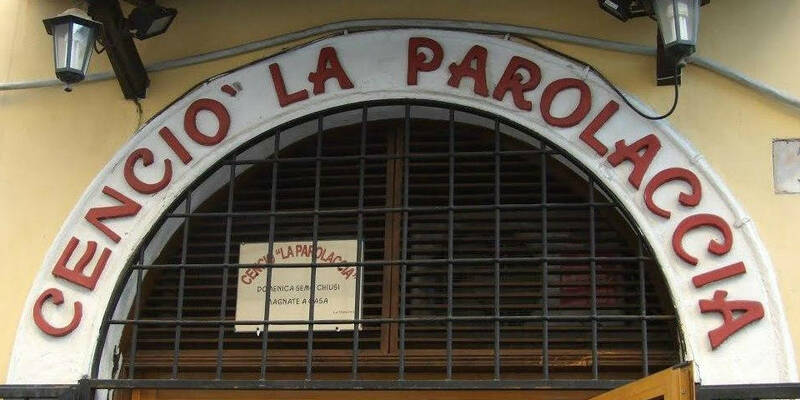 La Parolaccia is not simply a restaurant, but a truly unique place with excellent food and a cabaret show with obscene vocabulary. The animators, the pianist, and waiters will take care of making you spend an unforgettable evening by involving you in their gags and sometimes insulting jokes. The price for aperitivo there is 10 euro. ‘Gusto restaurant offers one of the best aperitivo buffets in Rome with an extensive list of wines, beers, and cocktails. You can come for aperitif every evening up until 9 pm, but be prepared for the queues. For the price of 10 euro per person, you will enjoy the variety of typical Roman food in a great ambiance with gentle waiters and bartenders. This restaurant located in Trastevere area, few steps from Piazza Trilussa. Freni e Frizioni has two spacious rooms with colorful retro furnishings, chandeliers and contemporary art paintings on the walls. 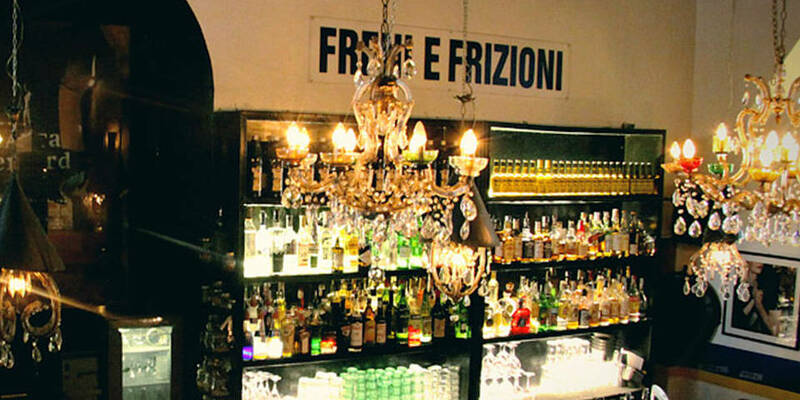 Also, Freni e Frizioni has a wide range of wines, beers, alcoholic and non-alcoholic cocktails. The buffet is very rich with a variety of pasta, salads, couscous, rice, focaccia, bruschettas and sauces of different kinds. This place is one of the most famous for aperitivo in Rome. The Fluid Cocktail & Wine Bar is a modern place, located in the city center of Rome, right near Piazza Navona. There, the buffet consists of various first and main courses, also fruits and small portions of desserts. In addition, the buffet is unlimited with a cost of 10 euro on Sunday, while during the week the price is 8.50 euro per person, with a drink included. The feature of this place is its location and high quality of food offered at an excellent price. 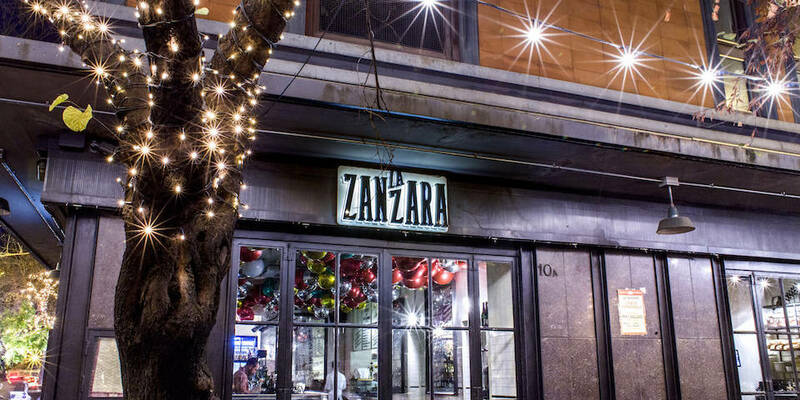 La Zanzara is another great place where to spend “happy hour.” However, in comparison to other bars and restaurants, there is a rule: “You only pay for what you drink” every day from 6.30 pm to 8.30 pm. Morover, you can find in their menu 21 types of wines by the glass, a list of 21 cocktails, many craft, and bottled beers. La Zanzara is against the Buffet Aperitivo. So that, when you order a drink, you will receive it with finger food version appetizers. 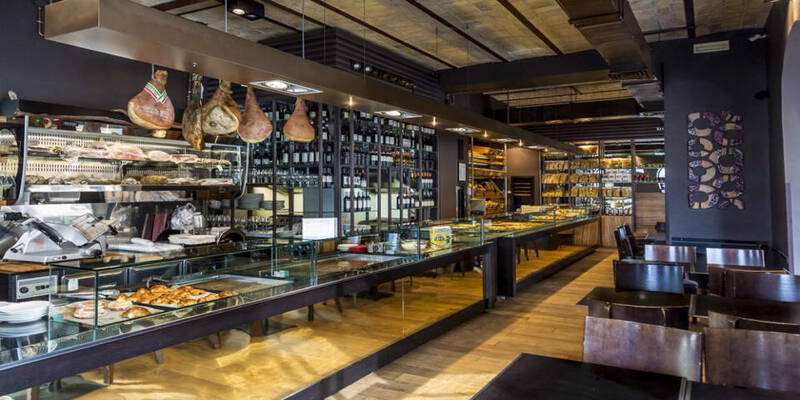 After the war, Doppio Zero was the most popular bakery in Rome. 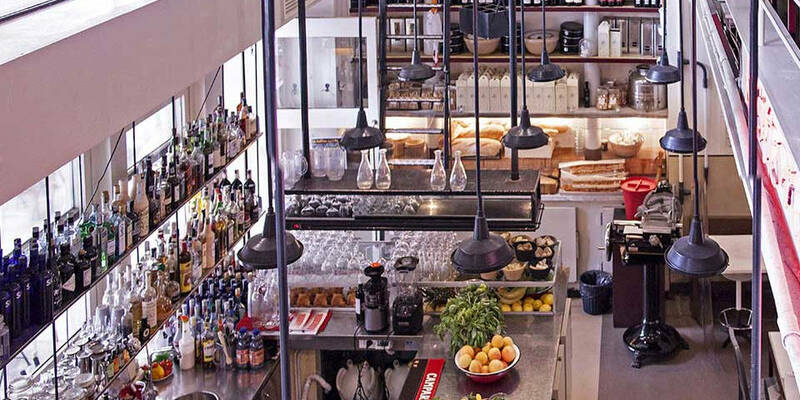 Today, Doppio Zero is one of the most favorite places for aperitivo, brunch, breakfast, lunch or just a cup of coffee because of the high quality of food served, good choice of dishes on the Buffet for aperitivo and creative cocktails offered in the menu. Moreover, the price per person is 10euro (9 euro for non-alcohol drink), where one drink and unlimited buffet are included. Now you know the best buffet bars for an Italian aperitivo chosen from my experience in Rome. 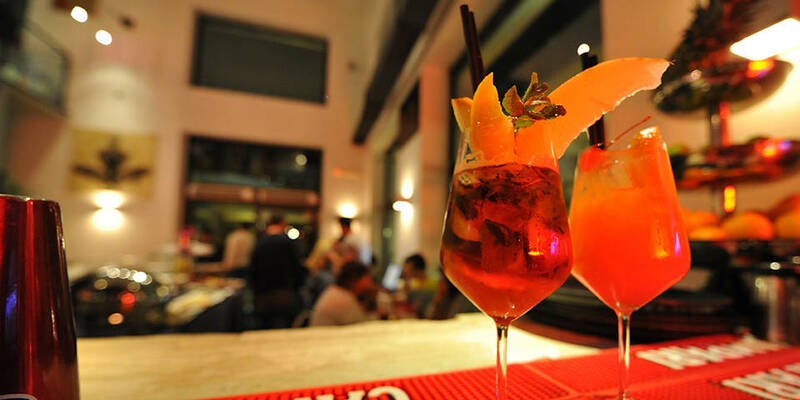 Write in comments which aperitif in Rome is the best, according to you!